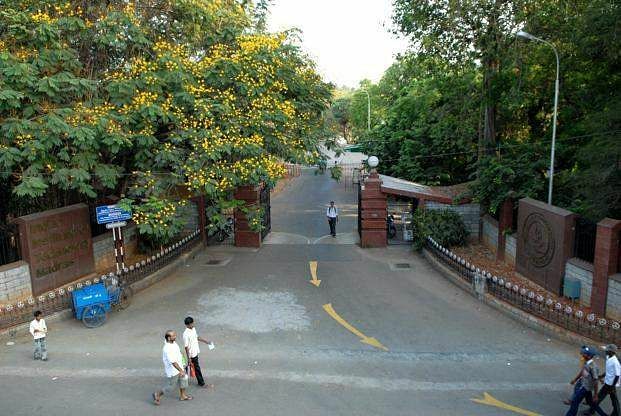 The Indian Institute of Technology, Madras is facing heat after the administration put up a notice detailing the "illegal" items found in students' rooms. These items ranged from egg boilers to iron boxes to water heater rods. What has angered the students more is the administration's decision to display "used condoms" as one of the items along with the student's name. Some of the students who had things like egg boilers, iron boxes, frying pans, induction stoves, electric kettles were charged Rs 2,500. 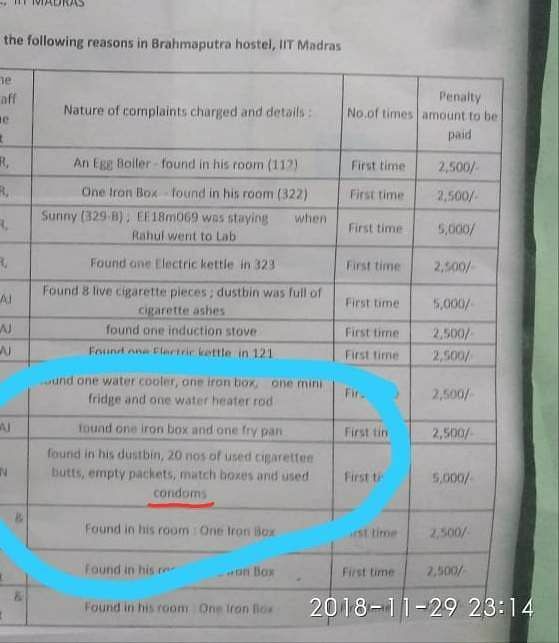 The students who were charged 5000 rupees seem to have been charged on the basis of "moral grounds" - one student in one of the hostels was charged because a friend of his was staying in his room while he was in the lab. The other two students had cigarette butts in their dustbin and one of them had used condoms as well. The students have complained about increasing moral policing on campus and surprise checks happen quite often. They say they are being shamed for visiting men's hostels despite going there only during the "allowed hours". In a survey, conducted last year, one of the students said that she was asked "if the bed was comfortable" when she was present in a male friend's room during one of these surprise checks. Students also claim that the vigilance officers take pictures of them and go through all their things and even pass judgment on them. The Student Council has told The New Indian Express that the photographs were only taken to prove a violation and that the dignity of the student would be maintained. The Dean Students' office has refuted the charges, "No hostel office has done this act of publishing student details on the notice board. The institute will enquire further about this deviation if any at all," he told The New Indian Express.